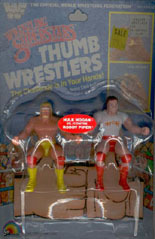 These guys were packaged in sets of two. 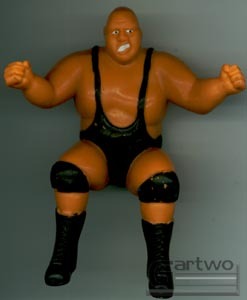 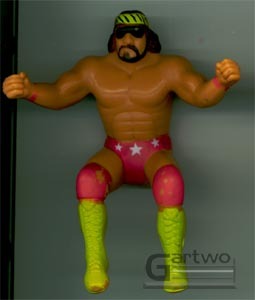 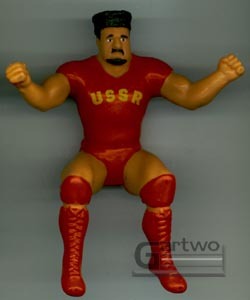 There were several different packaging combinations from what I can tell, normally consisting of "Hulk Hogan vs _____". 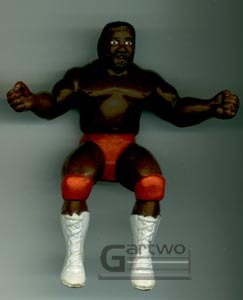 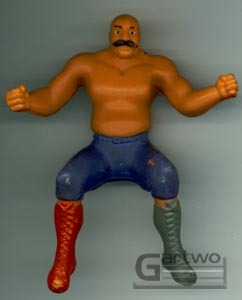 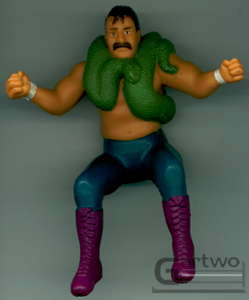 The Bundy and Jake the Snake figures are the only two dated "1987", it appears as though they were only sold in Canada, and maybe elsewhere internationally but not in the U.S. thus making them a little harder to find than the others. 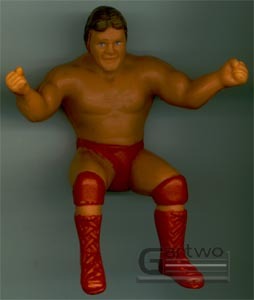 There is a variant on the Roddy Piper figure. 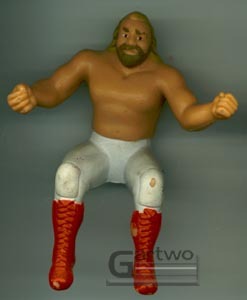 On some figures, his shirt sleeves are actually defined on the mold, while on others the sleeves are just painted on. 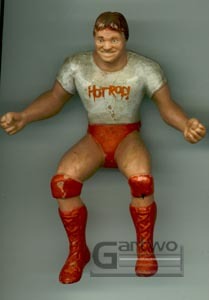 Roddy Piper with "mold defined" sleeves--not usually this dirty!